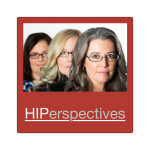 In 2015, HIPLegal launched its HIPerspectives podcast to provide basic IP information, highlight awesome women, and tee up some women’s leadership issues to trigger a broader conversation about solutions to our continued gender diversity disparity. In this episode, we take a look back at some of the advice our guests gave us and celebrate our working joy. Happy New Year!